According to a report released last year by research firm, GlobalData, the vegan community has seen a 600 percent surge over the last four years in the United States with an estimated six percent of the nation’s population now following a solely plant-based diet. Despite this unprecedented growth, the market continues to fall short in terms of delivering items catering to this movement. With this in mind, Eden Life Foods has taken steps to bridge the gap with the launch of its latest product. Based on information made available by Eden Life Foods, the company’s certified organic sorgo is made by pressing the cane of the sorghum plant. Excess water is evaporated via a specialized cooking process during which the sorghum juice is heated for twenty minutes. This thickens the syrup while concentrating its flavor and nutrients. The end product is all-natural, USDA organic certified, gluten-free and made without the use of genetically modified plants. Eden Life Food’s certified organic sorgo can be used as substitute for sugar, corn or maple syrup, agave, honey or molasses in vegan recipes on a one-to-one ratio. This syrup can also be used instead of other types of syrups on pancakes, waffles or biscuits. Research indicates this type of syrup offers higher levels of nutrients such as iron and calcium than a number of other alternatives while also being lower in fructose. 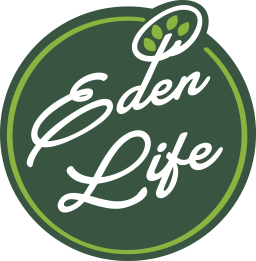 Eden Life Foods is a food manufacturing company offering consumers great-tasting, plant-based vegan food products. The company believes healthy living should be easier for everyone as well as good for the budget, lifestyle and body.